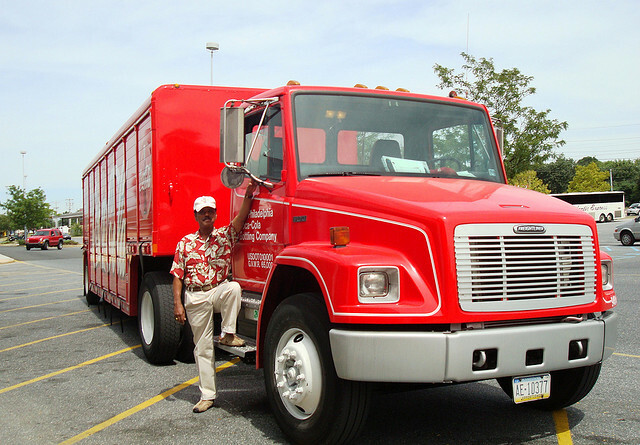 Are you not getting enough money or hours with your truck driving job? Consider driving for Uber & Lyft to increase your income! Here is how to get started. Many truck drivers have this problem, where they are only working 40 hours a week or even less, and as a result get substantially less money. Or perhaps you are tired of working OTR jobs and driving hundreds of miles a day, and need to catch a break, but without taking a huge hit in pay. One alternative source of income that you can consider is Ridesharing: becoming a driver for Lyft or Uber. It is easier than you think and the pay is great: an average Uber driver can make as much as $20-25/ hr. This is significantly higher than many local truck driving jobs, which pay only about $15/hr, especially when you have a lot of slow times. Read on to learn more about how to become a driver for Lyft or Uber, what the benefits are and some key tips to be successful on the job. Fairly easy to get this job: both companies are constantly growing and they really NEED drivers. In fact, they are willing to pay pretty big sign up bonuses to new drivers, especially in new markets: in some areas new drivers can get up to $1,000 bonus after driving for one month. High Pay: as mentioned earlier, on average you can make about $1,000/week. However, many drivers, especially those that live in highly populated areas, can make as much as $2,000 or more. There is always work: you will not have a problem getting clients, especially if you live in a city. Obviously, if you live in a huge city like New York, Chicago, L.A. , San Francisco, Miami, where there are also a ton of tourists, you can make very good money. Flexible Hours: one of the best things about driving for Uber or Lyft is that you set your own schedule and drive as much as you want to. You simply turn on your driver application on your phone when you want to work, and turn it off when you are done. There is unlimited flexibility, as you can decide how much you want to drive on daily basis. This means that you can still keep your trucking job and use a Lyft job as an source of additional income. Or maybe, after sometime you will discover that you prefer being a Lyft or Uber driver full time, and quit trucking all together. The choice is yours! No one will boss you around: there is no manager to report to in this job, you get to be your own boss. Sometimes the passengers may get a little bossy, but that comes with the territory, plus you will drop them off fast and never see these people again. Meet new people: it can get very boring and depressing to always be on the road in your truck. As an Uber or Lyft driver, you will constantly be meeting new people, making conversation, etc. The time on the job will pass more quickly and will be more interesting and enjoyable. A clean, four door car, newer model: Uber and Lyft policies do require you to have a car that is at least 2006 make in most states. Exceptions sometimes are made for older luxury cars, such as Mercedes. Note, that Lyft also has a specific list of cars they approve, that you should check. 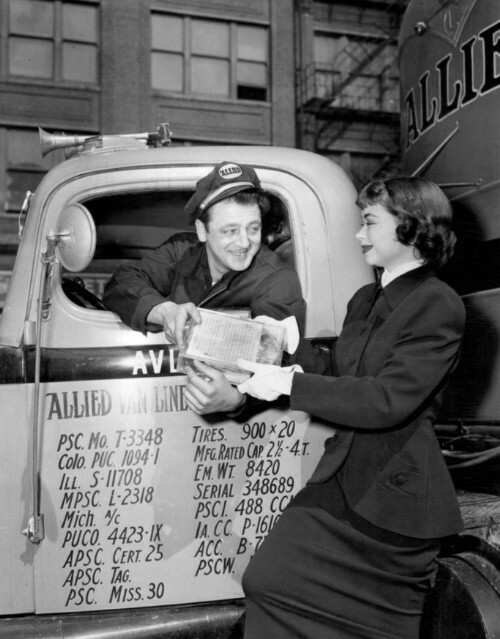 Additionally, keeping your car clean is essential to getting good reviews from passengers and keeping your job. What exactly is clean? You car should be free from rust, smoke, trash inside. There should be no broken windows, falling tail pipe, ripped trim, etc. You need to take the cleanliness aspect very seriously, because if you get a couple of complaints about the cleanliness/condition of your car, you will be banned from the job: FOREVER! This is not an understatement, if you can deactivated as a driver in Lyft or Uber, you can never work for them again. Car inspection: you will need to go through a car inspection before you can start driving. But this can be easily done at a local car shop and is not expensive. Car Insurance: you need to have personal auto insurance. However, once you accept a ride or are on the road, the company will provide liability insurance and collision coverage. You need to find out the specific details in the company you want to drive for, as they may be slightly different. Smart phone: you will need your smartphone (Android or iPhone) to set up your driver app. Dash Camera: installing this camera is an important investment that will help you protect yourself from any frivolous/false accusations by passengers and do have hard proof in case of an accident. You need a good quality camera that will film in front of your car as well as inside; so expect to spend around $50-300. While this is a lot of money, if something happens, you will have the evidence you need to protect yourself, and you will be very happy you made this investment. Good quality car mount: it is best to get a magnetic car mount, such as Scosche. With it, you can take your phone off and put it back on in literally 1/2 second, using only one hand. Its best to stay away from operating mounds as they are a driving hazard. Clean driving record: your record needs to be free of major accidents and DUI’s. One or two speeding tickets are ok, but it would be best to have a squeaky clean record. Even if you have had a felony in the past, but its older than 7 years, you should be able to get a job at Lyft or Uber. How Will Lyft and Uber Pay You? The passengers will pay for their ride with a credit card via the company’s app. No cash will go directly in to your hands at the time of the ride. In turn, the company will use your app to track your earnings, and will pay you on a weekly basis via direct deposit. If you want to be a successful driver in the ridesharing industry, there is one thing you need to understand: your passengers’ satisfaction and their reviews determine whether or not you keep your job. Most companies expect you to maintain a rating of at least 4.6 out of 5. If it falls below this mark, you will get deactivated (fired), and the bad news is that you will not be hired EVER again. You should also keep in mind that when most riders are looking to book a car on their app, they prefer to hire drivers who have at least a rating of 4.8. There are many people that got into this business, were making good money and got kicked out of the job because they made pretty stupid mistakes in the way they treated their customers and maintained their car. You should install either or both Lyft and Uber apps on your smartphone. From there you can apply to become a driver for either service. If you have questions, you can get in touch with both companies right through the app. However, response time can be slow. There are alternative methods of contacting each service. Go here for Uber, and here for Lyft. Because of abundance of people trying to get in touch or having questions / concerns, both Lyft and Uber sites have very limited options to contact them. However there are more ways to get in touch with customer service as a driver partner, which include email, phone and other methods, can be found here (for Lyft) and here (for Uber). 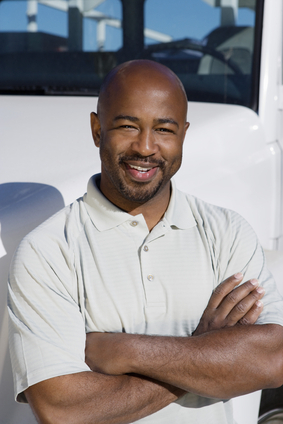 Most truckers should not have any issues signing up, but it can take several days to get a decision on whether you were accepted into the driver-partner program. Keep in mind though, that both companies are ACTIVELY seeking new drivers, and therefore, if you clear all the requirements, you should have no problem getting in! Maintain a clean car: yes this was said before, but this is SO IMPORTANT. If you are a smoker, be sure not to smoke inside the vehicle. There should not be any smell of smoke or any other unpleasant odor in the car. It is a good idea to vacuum the car every 5-10 rides (you can figure out exactly how much). An airplane salon is a great standard to go by: when you walk in, there is not a smidgen of dust or dirt anywhere. Offer some complimentary stuff: this can go along way to increase your ratings. Water is a great thing to have, you can get the mini bottles. You can also offer candy in small packages, its not too expensive, but most people love it. Be extra nice and polite: this is what gets you the great reviews. Always greet your passenger with a smile and a “hello”, ask them how they are doing, offer some water. If they have luggage or a stroller, offer some help to put into the trunk. 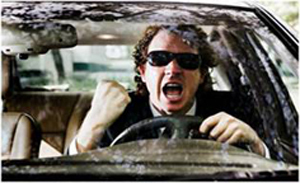 Be a SAFE driver: this cannot be stressed enough! Drive safely and follow all the rules on the road. No aggressive driving/road rage aloud. This is something that can earn you a very low rating, and after one or two such instances you will be out of the job. ALWAYS be on time: this is very important! You don’t want to make your ride wait for you longer than what their app says they have to wait. If you make someone wait more than a couple minutes longer than they need to, they will likely give you bad rating. This means that if you are busy with something or simply want to relax, turn off your Uber app. DON’T ask for tips: while companies like Lyft, allow tipping, this is something that is already built into the app. If a passenger wants, they will leave you a tip through the app. It is very unprofessional to directly ask, hint or complain about a tip, and will most likely earn you a low rating. Remember, a couple of those, and you are out of the job, so its really not worth it. Don’t make awkward conversations: many people don’t want to talk to drivers, so don’t press them. You should always be very polite and nice, and you can make small talk if the passenger is into it, but be sure not to get personal. Don’t get discouraged: especially in your first few days/week it is easy to get discouraged if you are not getting many rides. If you are in the suburbs, you should aim for about 2 rides/hour, and if you are in the city, your goal should be 3-5/hour. But again, if you are not getting this on your first few days on the job, keep at it, and the rides will come! On your first day: drive during off peak hours, just to get comfortable with the process. this would be between 11 am-3 pm. At this time you will be able to pick up a few passengers. It is best not drive too far and also not to cruise around, because you will be losing money on mileage. Its best to park yourself in a prime location and just wait for riders. 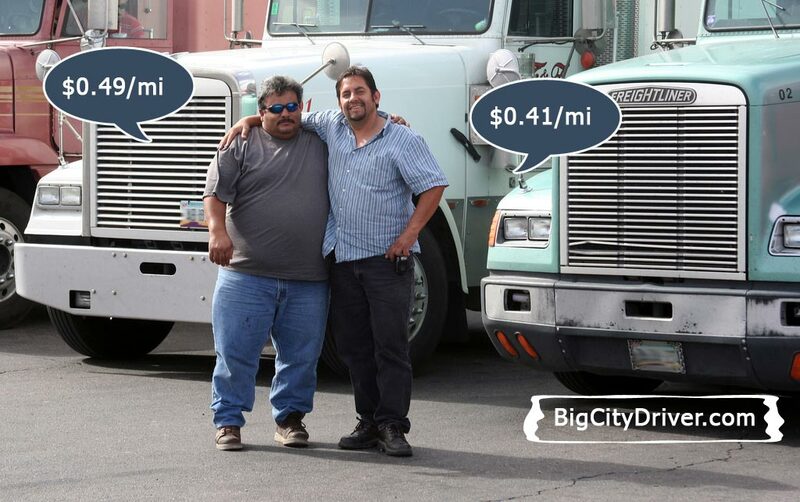 These two giants are not the only game in town for ride sharing, albeit they are the biggest, and have most presence in pretty much all large metropolitan areas. However, there are alternatives, that may pay more, or have better terms. For example, if you are a woman, and are concerned with your own safety, there is a service only for women (both passengers and drivers) called Safr. Safer offers rides only to women, and only women can be drivers! The only issue with Safr, is that right now they only operate in Boston, MA. However, they will be expanding to other cities in US, as they grow. Another alternative is SideCar (www.side.cr) which operates in in San Francisco, San Diego, Chicago, Washington, DC and Boston. Some other smaller companies do exist, but they are small and very limited in where they operate, making Lyft and Uber your best bet to get steady stream of work. I have to admit that Uber joining up with the trucking industry does not surprise me. It seems as though this could be a great option in more remote areas where trucking services are limited.